'The Magnificent Doublejoke,' Part 2 of 2! 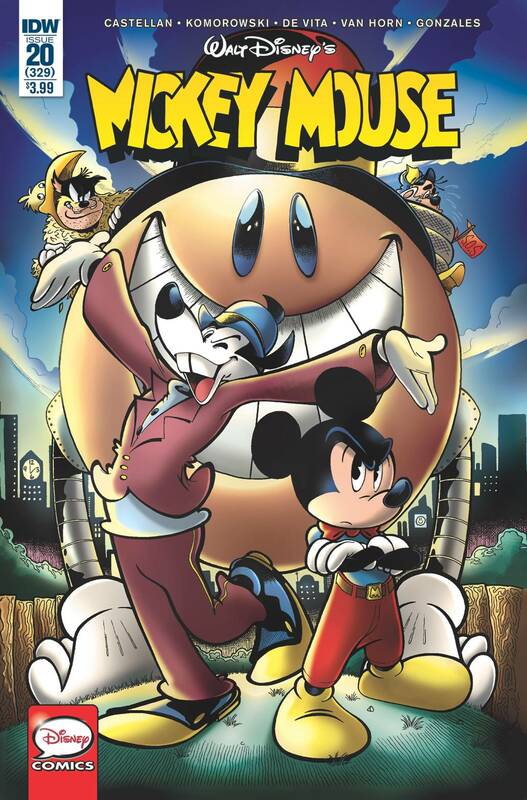 When trollish crimefighter Doublejoke turns crook himself, it's up to Mickey to take him down! Then Mickey battles a very evil fanboy in 'The Mouse Collector!' Bullet points: Fan favorite Noel Van Horn returns with an amazing new-to-USA Mickey mystery! Continues this beloved series' legacy numbering at #329!